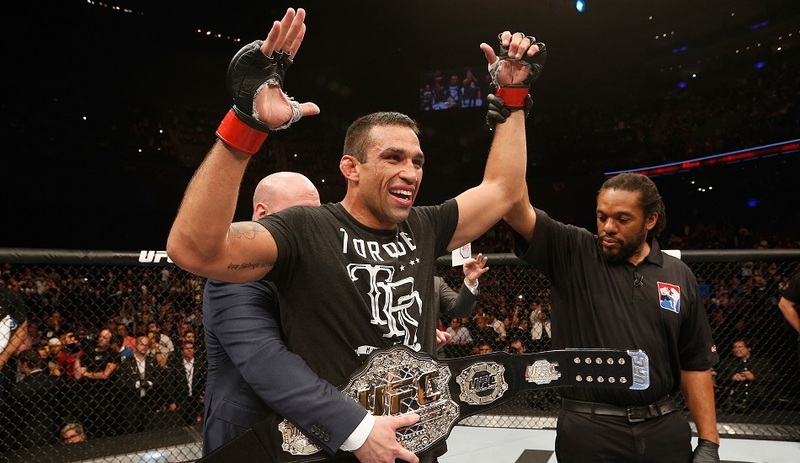 Even though Fabricio Werdum confidently and decisively won the UFC heavyweight title from now former champion Cain Velasquez back in June, a rematch between the two will serve as the new champion’s first title defense. The news of the fight was revealed Wednesday via Ariel Helwani on UFC Tonight. The Brazilian mixed martial artist defeated Velasquez in June via third-round submission from a guillotine choke to capture the belt. He had entered the fighting holding the interim heavyweight title after defeating Mark Hunt (while Velasquez was injured) in November 2014. A date for the Velasquez – Werdum 2 fight has not yet been set but we will keep you updated as the information is released.